What would you tell your younger self, knowing what you know now? Probably a lot. When I think of the things we did in raising our kids, there are definitely a few things I’d do again—things I may have underestimated way back when. 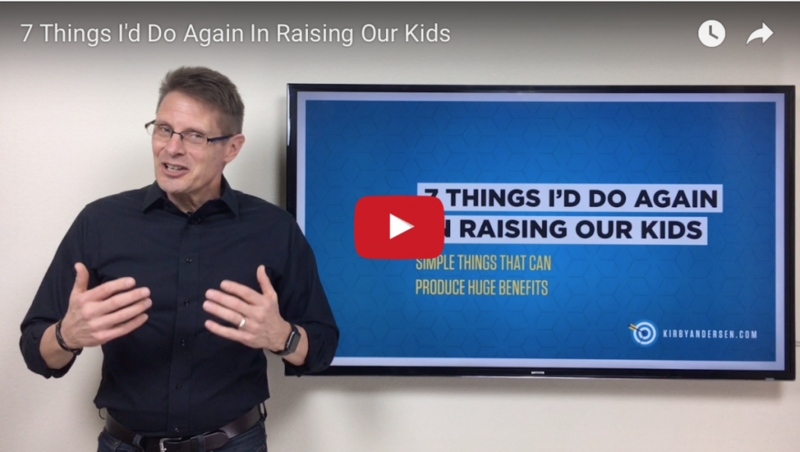 That’s the focus on this week’s video and blog post, 7 Things I’d Do Again In Raising Our Kids. It’s not an exhaustive list. And, honestly, the list might change depending on when you ask me. Yet these 7 things are significant enough that I urge you as a parent to consider—especially if your kids are still at home. Click here for this updated blog post and video. I hope you enjoy it and that it will spur you on in making a family that you’ll treasure for your lifetime.